“When I imagined the trophy to award the best and most interesting environment of the DECOR Interior exhibition, some symbols immediately came in mind, representing something which would depict the proposed concept, at the same time, being surprising as an object of easy poetical interpretation. Therefore, I chose symbols (something that represents something for someone) which could remind us of the city of Americana, where the event was taking place. SHUTTLE – this multiple use object, representing the local economy, is a weaving accessory (ancient), considering our municipality is known as “The weaving princess”. The weaver’s loom in Islamic tradition symbolizes the structure and movement of the universe. The shuttle as a house (temple), set in the vertical direction, as the stable axis of things, is related to the erect position of men, whereas, this learning has cost them a great deal of effort, and as the axis of all plummets. This direction has an active and spiritual meaning. HOME – as a temple, it is in the center of the world, our first universe. It is a real cosmos, it represents the whole world, it is the shelter of privacy, it is the great crib. It is body and soul. 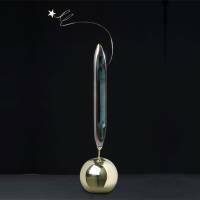 The golden color of the sphere symbolizes the most perfect and precious metal, it is the symbol of growth. Thread - present in the weaver’s loom as the main component of the work of creation and symbolizing the connection with God, the beginning of all things. STAR – it announces and symbolizes the inspiration which materializes, or better said, translates the artist’s desires, up to then inexpressible. The five-point star is a symbol of human micro-cosmos. “An angel watches over each star”. 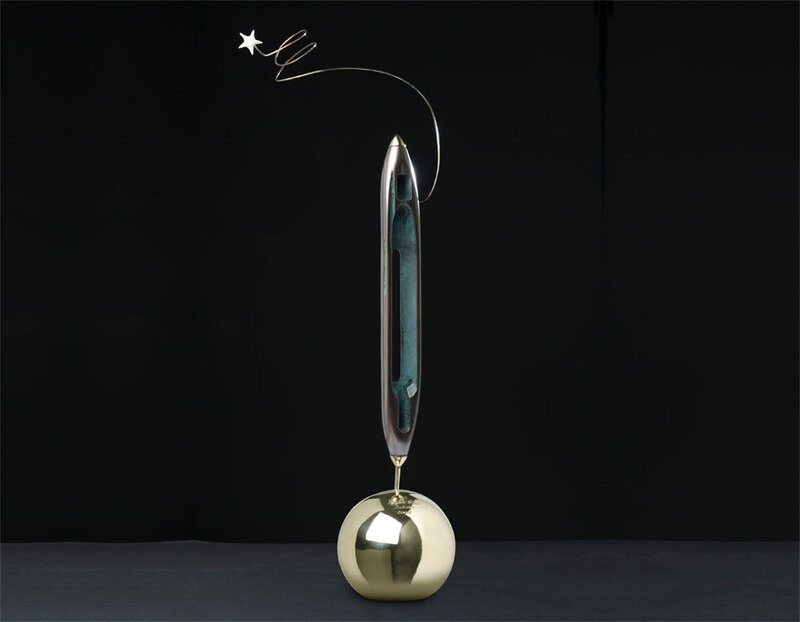 I share with the winner of the 1st Interior DECOR award, the moment of the flight of imagination, embodied by this trophy.